This weekend I head down to London for RAW and will have lots of wine to report back so I thought I should mention some wines I have enjoyed over the last few weeks before they were forgotten amidst all those RAW discoveries. Let’s start with my birthday which I spent in the company of family and friends, it doesn’t get better than that. A number of bottles were opened of course. Let’s start with the Coutelou wines, how could I celebrate without Jeff? 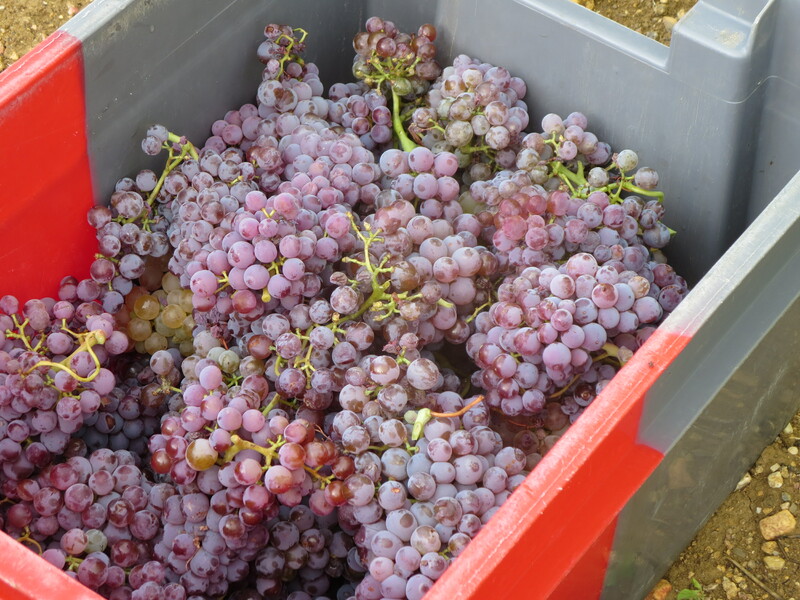 The Blanc 2016 is a blend of many white grapes such as Maccabeu, Grenache Gris, Grenache Blanc and Muscat which were aged in barrel for a year. That oak age gives a richness which is different to many of the previous Blanc/PM wines. There’s an unctuousness rather than a taste of wood but the wine remains clean and satisfying. Lovely. The magnum of Flower Power 2015, a blend of Syrah with the Flower Power (Font D’Oulette) vineyard of so many varieties. 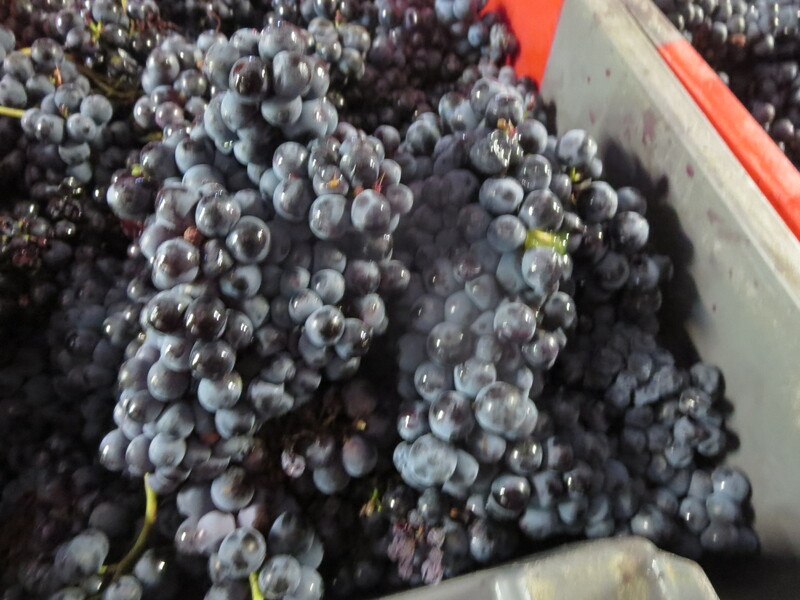 Still youthful and fresh with bright red fruits there is also a growing power and complexity. The other bottles will be kept for a few years. And no celebration of mine would be complete without La Vigne Haute. This was 2017, turning into an exceptional vintage. The Syrah is generous with red fruit but has a streak of fine tannin and a firm edge still, hard to resist now but with discipline I shall keep some bottles for the future. My desert island wine. Along with those gems other bottles went down well too, there were many of us! Jordi Llorens’ Blankafiorti 17 is a blend of Garnacha, Cabernet Sauvignon and Syrah in the Tarragona region. A definite sense of Spanish warmth with a richness but plenty of fresh dark and red fruits, however, maybe one to keep for a couple more years to be at its best. Valette Macon Villages 15 is a lovely wine, a lovely example of Chardonnay with a citric edge to the Chardonnay richness, well balanced and delicious. Tollot Beaut’s 2006 Chorey les Beaune was classic Burgundy, the age adding smoky, vegetal notes to good Pinot fruit. Other wines on other occasions. Testalonga wines from South Africa are becoming a firm favourite with me as mentioned on here recently. Stay Brave 18 is a Chenin Blanc matured on skins for 11 days, a relatively light maceration, giving a golden colour and very fine texture but plenty of fruit and pleasure. This made a real impression on me, a wine I will remember for a long time. La Bufarella 17 from La Salada comes from further along the coast from Tarragona towards Barcelona in the Penedes region. 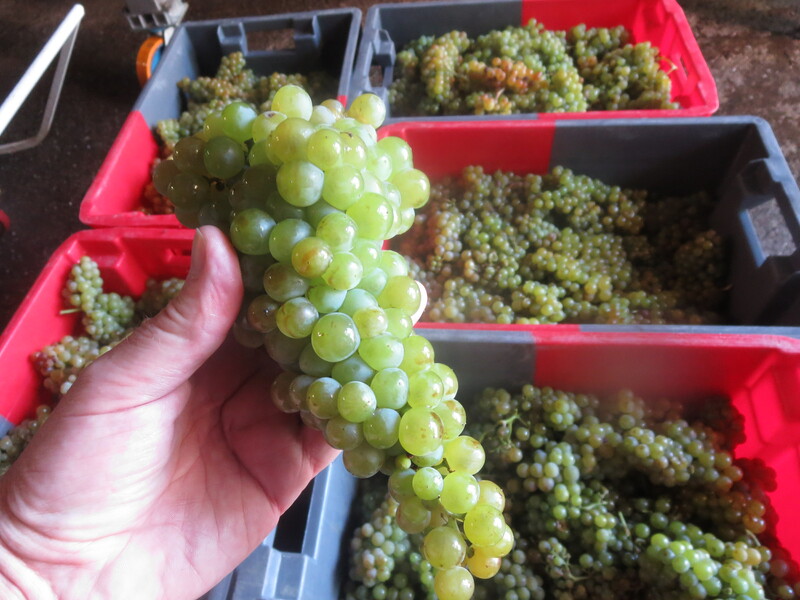 The Xarel.Lo grape has good acidity (it’s the main Cava grape) so stands up well to the 6 months maceration here. Much more orange in colour than Stay Brave and with more complexity and tannin. Also from Xarel.Lo was the Clot De Les Soleres 15, light, fresh with a touch of sparkle, a good aperitif wine. Red wines included Andrea Calek’s À Toi Nous, a lovely blend of Grenache and Syrah from the Ardeche. Rich fruit but plenty of freshness, this is one of my favourite domaines in France, the labels aren’t bad too. Domaine La Marfée Della Francesca 2007 comes from near Montpellier. 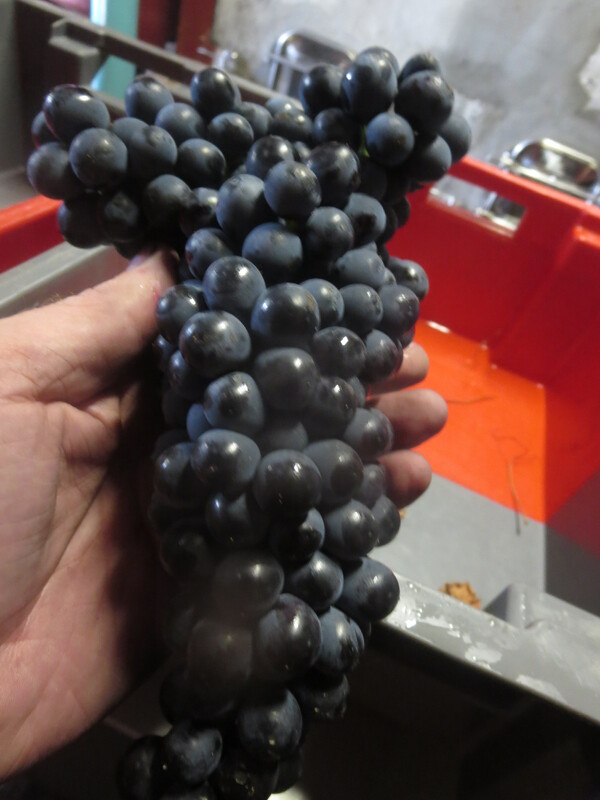 The age has allowed the 80% Mourvèdre to develop plummy, leathery notes, the Syrah adding more direct fruit still. Certainly its age has made this biodynamic wine more complex, this was my wife’s favourite wine of recent weeks. By contrast the 2018 50-50 Gamay – Pinot Noir blend from the Auvergne producer Domaine Miolanne, Volcane Rouge, was light and fresh. The Gamay dominates, this is very like a young Beaujolais and the Pinot adds a little richness. I liked this a lot, a food wine for sure. La Paonnerie is in the Ancenis area of the Loire. Jacques and Agnès Carroget plant various crops such as oats and clover amongst the vines to add nitrogen to the soils amongst many other organic, environmentally sound practices. Simplement Gamay 16 is very enjoyable on a drinkability level but there is some complexity in the bottle with sharp raspberry fruit. Different altogether was one of my favourite sherry wines, the Palo Cortado Cayetano Del Pino which offers the freshness of a manzanilla with the complex nutty notes of an amontillado. It is a great wine, I’d sneak some onto that desert island with La Vigne Haute. There have been a couple of duds along the way but the last few weeks have provided some excellent wines, I hope you have enjoyed sharing my thoughts. On to RAW and more new wines. Categories: Tasting, Wines | Tags: Blanc, Calek, Clot De Les Soleres, Coutelou, Flower Power, La Marfée, La Salada, La Vigne Haute, Llorens, Miolanne, Palo Cortado, Paonnerie, Testalonga, Tollot Beaut, Valette | Permalink. In the last article I wrote about the young up and coming winemakers whose wines I enjoyed at Bédarieux, La Remise and The Real Wine Fair. Whilst this new wave are producing good things there are still many good tunes from the some of the ‘older’ fiddles. As ever there were many vignerons present who have been making natural wines for longer. Many of these began as winemakers on a family domaine and learned about winemaking in conventional form before deciding to go natural. 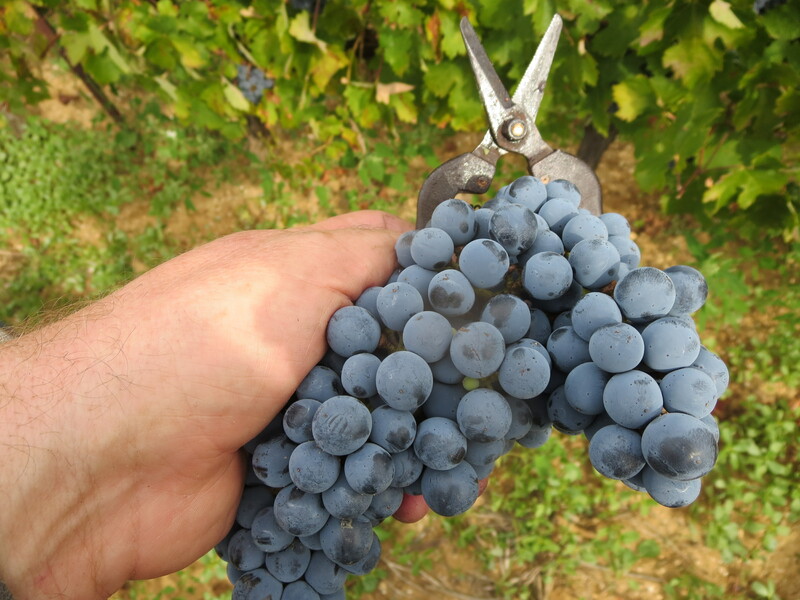 Others have moved into the world of wine with the intention of making natural wine. Natural wines developed a reputation for faults amongst traditional wine drinkers (especially some journalists). Some of these appraisals were genuine, others a matter of perception. There is no doubt that some wines are faulty, I have tasted them myself. Problems such as mousiness and brett are genuine faults. Other issues can be a matter of taste, eg skin contact. In contrast, however, I visited a wine fair in Vouvray on Sunday May 15th. 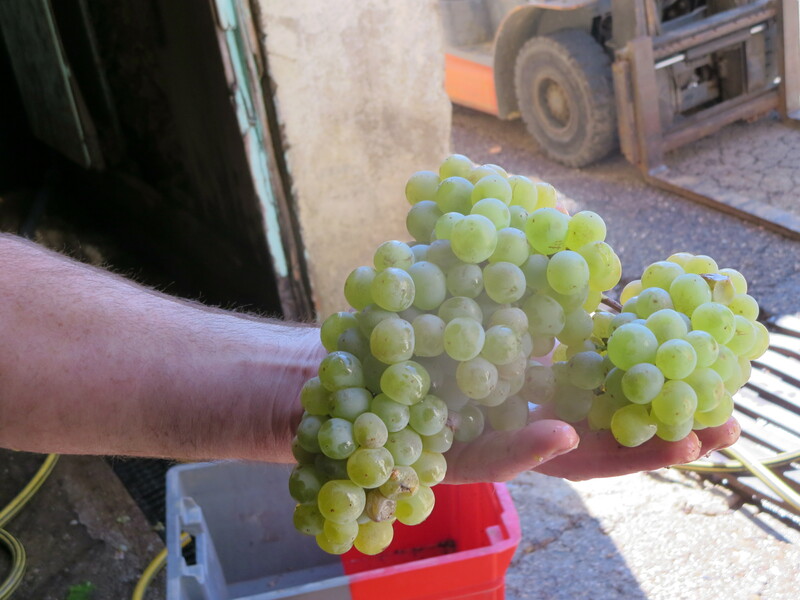 It was full of conventional producers, bar one converting to biodynamics. There were many dull wines, often with high sulphur. There were many faulty wines. So, j’accuse les vins conventionels. 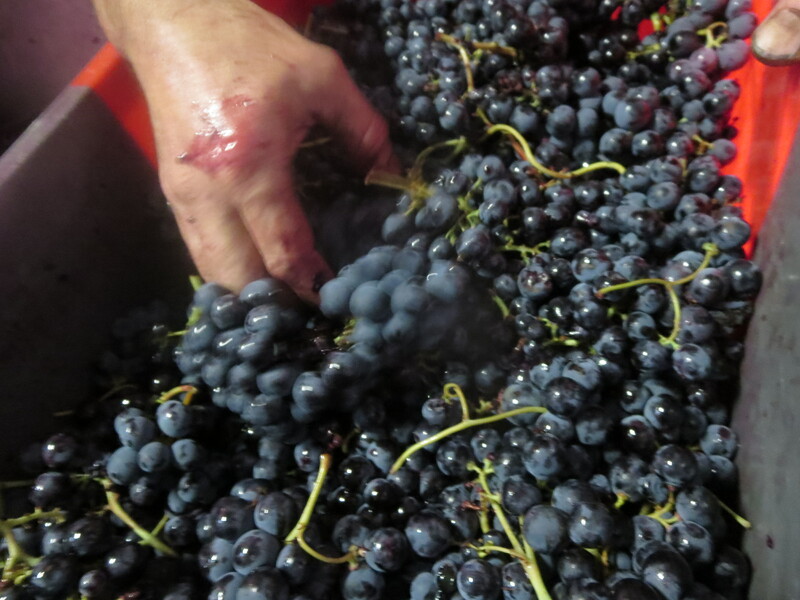 Natural wines are, in fact, the way that wines were made for generations, over hundreds of years. The conventional wines of 2016 are the product of more recent methods, of modern science and technology. Going back to the traditional methods involves a leap of faith and requires very healthy grapes if you are to abjure sulphur dioxide. As the natural wine movement has gained momentum in the last 20 years many of its producers have become more experienced in making wines without the safety net of modern science and technology. Standards are getting higher, the wines ever better. So, here are some that I enjoyed recently. At Bédarieux I was very happy to meet up again with Fred Rivaton from Latour De France (66) who makes many of my favourite wines. Blanc Du Bec and Gribouille, both 2014s, were delicious. In the last few weeks I have selected both as Wine Of The Week, and would do so most weeks when I was fortunate enough to open a bottle. One of the best. Another of my WOTW selections was the Pinot Blanc 2010 of Gérard Schueller. He was present at Bédarieux too and his 2014 Pinot Blanc and Riesling were both excellent. Next time I visit Alsace he’ll be top of my list of domaines to visit. I bought both of those wines. Philippe Valette‘s Macon wines were another source of quality, I especially liked his Chaintré 2012, a beautifully clear, zesty and round expression of Chardonnay. As a third generation winemaker, Valette is a fine example of my comments above. Didier Barral (Domaine Leon Barral) is one of natural wine’s great stars. His wines at Bédarieux were proof of how justified his reputation is. They require time to be at their peak but are pleasurable, profound and priced accordingly but worth it. Barral is a model of biodiversity and philosophical winemaking, a must try. My favourites were the Blanc 14 made mostly from Terret with lovely melon, grapefruit flavours and great length, together with the Faugères 13 of stunning depth. Nicolas Carmarans is living proof that talent and good winemaking can make very drinkable, quality wines in regions not usually associated with wine. He works in the Aveyron. There is a direct, mineral side to his wines married to fruit and length. Wines such as Selves 14 and Maximus 14 reflect local grape varieties such as Fer Servadou at their best. Clos Fantine is a domaine which features regularly in this blog and the 2015 wines which Corinne was showing at La Remise were the best of recent vintages in my opinion. La Lanterne Rouge and Faugères Tradition have pure fruit with structure, complexity and a beautiful expression of the schistous soils of the area. Philppe Pibarot makes wines in the Gard. As well as encouraging his young assistant John Almansa, Philippe makes first rate wines. I loved both his white wines, Blanc and Clos Domitia 14 with Clairette, Roussanne and Piquepoul and the delicious red fruit freshness of Cante Renard 15 made from Cabernet Sauvignon with Languedoc varieties such as Carignan and Syrah mixed in. Guy and Thomas Jullien are still young but I have enjoyed their Ferme Saint Martin Rhone wines many times and met them in Arles and London. I especially enjoyed the Ventoux wine Estaillades 14 (Grenache and Counoise) with round, spicy flavours and the Beaumes De Venise Costancia 14 a 50/50 blend of Grenache and Syrah, more structured but balanced with lots of delicious fruit. Italian producer Colombaia presented some lovely wines at La Remise, classic Tuscan wines with Sangiovese, Malvese and Colorino grapes. Lovely freshness and fruit were trademarks of the wines and I particularly appreciated their Rosso Toscano 12 from young vines. From Galicia in Spain I enjoyed the wines of La Perdida. 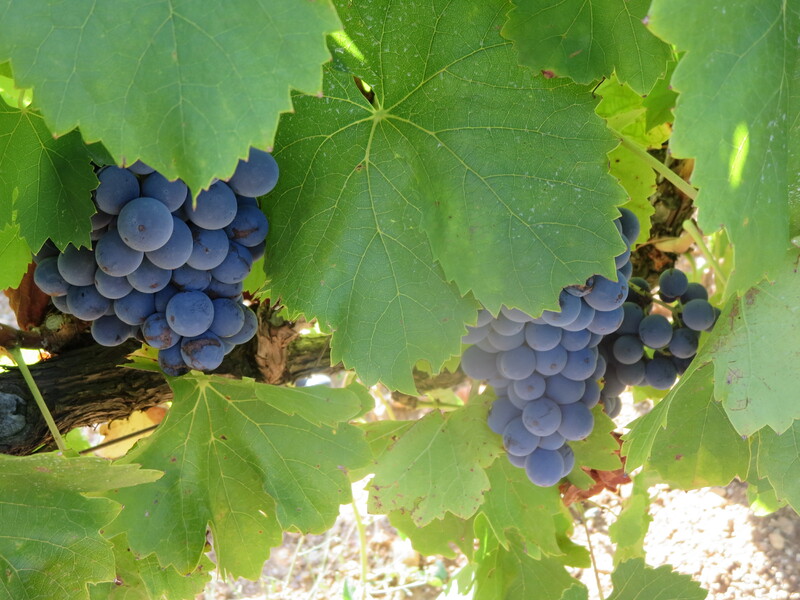 Perfumed, spicy aromas in their wines, nicely balanced too – signs of good winemaking. The Godello 14 with 20 days maceration on skins was one of the best examples of longer skin contact white wines that I have tasted and the Garnacha (with 30% Mencia) was even better, full of deep spice and dark fruits and very aromatic. I could add other names like Yannick Pelletier, Julien Peyras and Alexandre Bain. Good producers all. And, yes I am biased, there are the excellent wines of Jeff Coutelou. It is interesting to taste Mas Coutelou wines in the context of producers from around France and Europe. They more than hold their own, the 2015 freshness and restraint certainly lifting them to bear comparison with the best of the Rhone, Loire or anywhere. Jeff is a 5th generation producer, he learned winemaking skills from his family before branching out into ‘real wine’ production. He has a natural talent of course but he has learned from experience and his wines are improving in quality as a result of that talent and learning about his vines, his soils and his cellar work. And passing it on to the new wave of producers who come to spend time with him. Terms such as ‘real’, ‘natural’, ‘living’ are often applied to these wines, but don’t get hung up about them. The cuvées and producers I have listed here are just very very good wines and winemakers. Categories: Tasting, Vignerons, Wines | Tags: Barral, Carmarans, Clos Fantine, Colombaia, Ferme St martin, La Perdida, La Remise, Mas Coutelou, natural wines, Pibarot, Real Wine Fair, real wines, Rivaton, sans sulfites, Schueller, SO2, Valette, Vouvray | Permalink.